Chop the cabbage, cilantro and onion. Dice the chicharrón and fry them in a pan without oil. There’s no need to add oil because the chicharrón will cook in its own fat. Once the chicharrón has browned, divide it onto the warmed tortillas and add the cabbage, cilantro and lime. Serve and enjoy! Serve with green salsa for a heartier version. 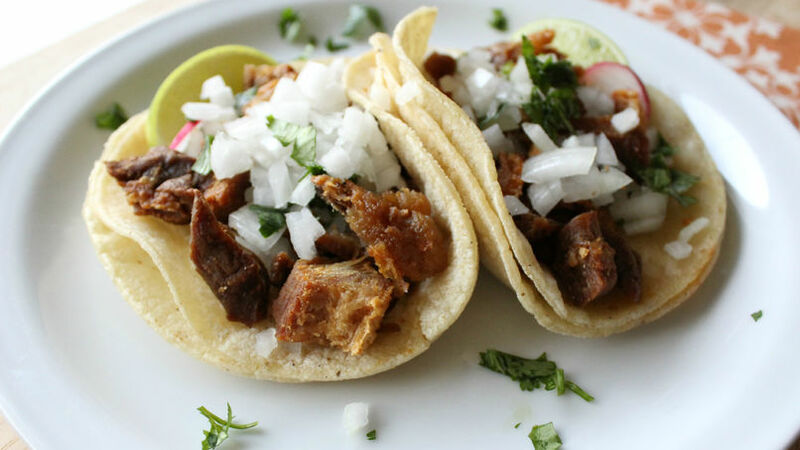 This recipe will help you prepare delicious chicharrón tacos with just a few ingredients in only minutes. Feel free to add your favorite sides and sauces to give them more flavors!